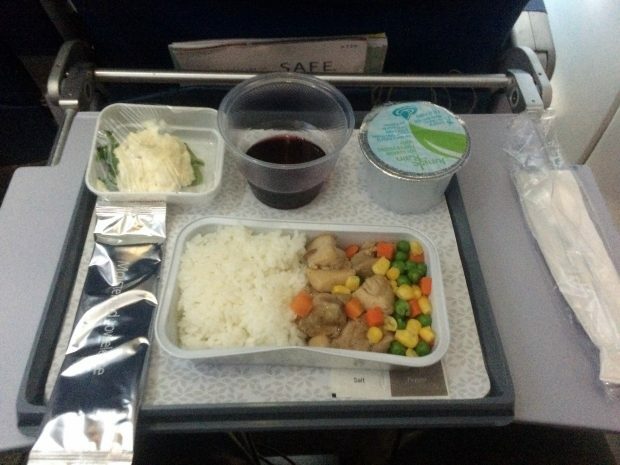 Travel Daily’s journalist Adam Bishop travelled on Hawaiian Airlines recently, with a bit more added comfort provided on the near 11 hour flight from HNL to SYD. Here’s his review on the flight. For a somewhat nervous flyer (a tragic irony for a travel journo I know), the soothing tones of a Hawaiian-made Ukulele before take-off was a surprisingly reassuring way to start my journey home from Honolulu to Sydney with Hawaiian Airlines. Much like the island paradise itself, the calming atmosphere on board HA jets is palpable. From the vague scent of yellow hibiscus to the warm smiles of the hostesses, I thought to myself this was an airline who knows how to put its passengers in a relaxed state of Zen for the flight head. Peaking my excitement even more than usual though was the prospect of travelling in Hawaiian Airlines’ “Extra Comfort” seating, an offer the airline had kindly extended to me as an attendee of the TravelManagers 2018 annual conference. 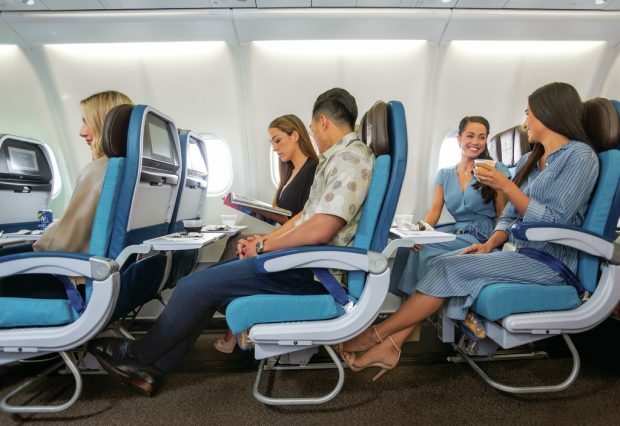 HA’s premium product available on its Airbus A330s and A321s boasts more legroom, priority services, and a kit bag of additional amenities to make the travel experience more comfortable. Plonking my lanky six-foot five frame down in my premium seat was almost joyous, my legs enjoying the rare treat of unfurling themselves into a position of genuine comfort (as a tall man you learn to fake it – even to yourself). Snacks and refreshments were available at regular intervals from the friendly HA staff, which included a range of delicious red and white wine options, tea, coffee, beer and soft drinks. Meals on offer consisted of a mix of light and main meals, from tasty sandwiches and muffins to yummy stir-fried chicken and beef dishes. As if this wasn’t enough motivation to get some well-earned shuteye, HA also has a many and varied collection of entertainment options available, from cutting edge HBO TV comedies like Silicon Valley to mainstream Hollywood blockbusters (for the record I watched the family comedy Blockers). This was an enjoyable experience that I would happily choose again for my next trip to The Aloha State.